Courtesy of Jen Hill and Lorraine Johnson. 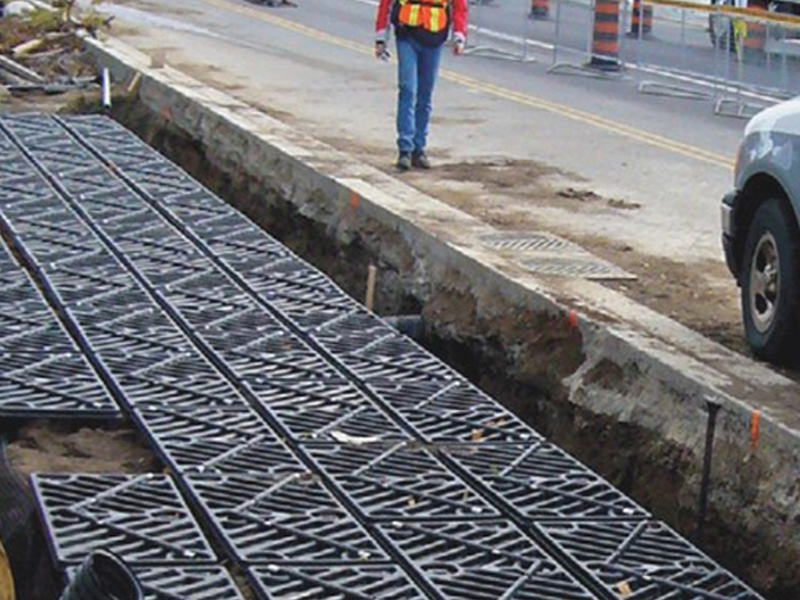 Soil cells are increasingly popular in cities across Canada and elsewhere in the world. 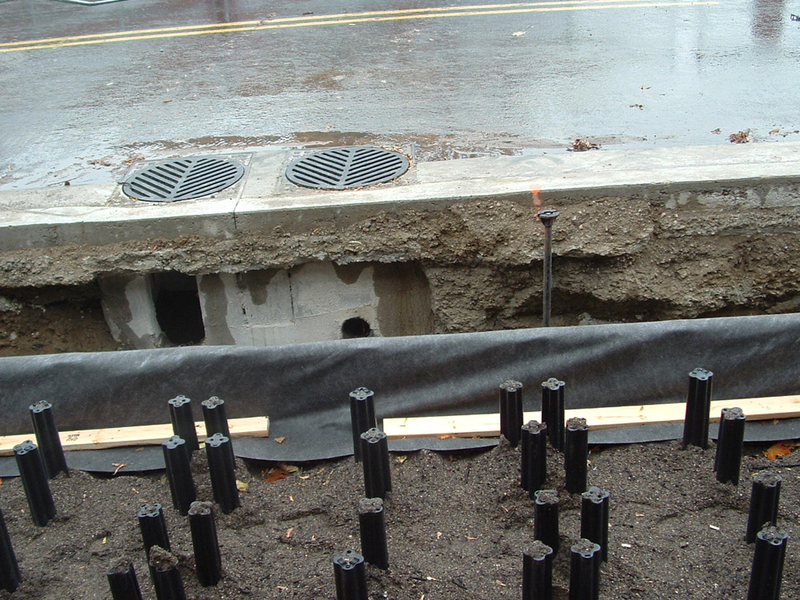 These rigid plastic supports permit urban trees to flourish with their roots in engineered soils beneath sidewalks or other paved surfaces. The soil cells support the surface, preventing compaction from damaging the tree roots, and subsidence or heaving from damaging the overlying surface. 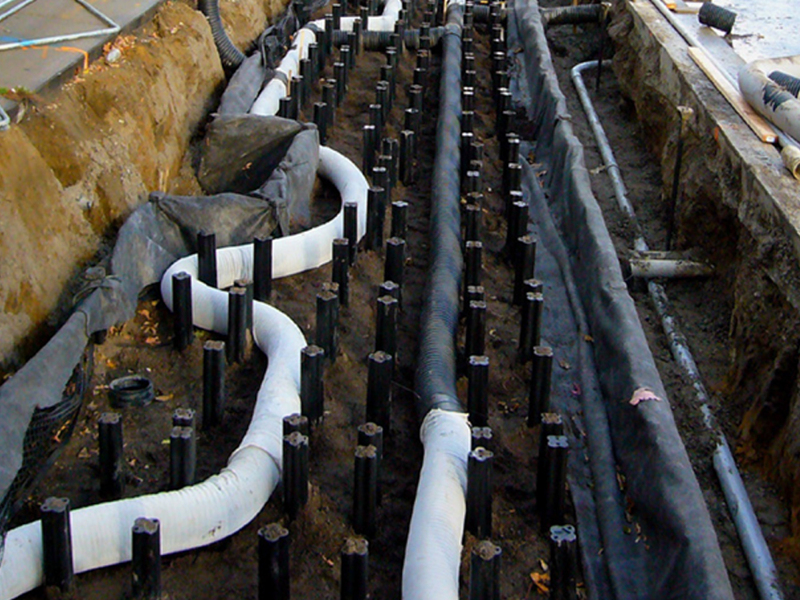 As many cities are now directing resources on green infrastructure to manage stormwater, the soil cells can take another role in capturing excess runoff water, like an underground bioretention facility. In Canada, throughout many months of the year, city roads are ploughed and salted to keep them safe and clear from snow. This may create a tension between the needs of the transportation department and the urban forestry teams. But STEP research, funded by Deeproot and conducted on soil cells nearly a decade after planting, demonstrates that year round irrigation with road runoff can improve the size and health of urban street trees, even when that water is salty through the winter months. 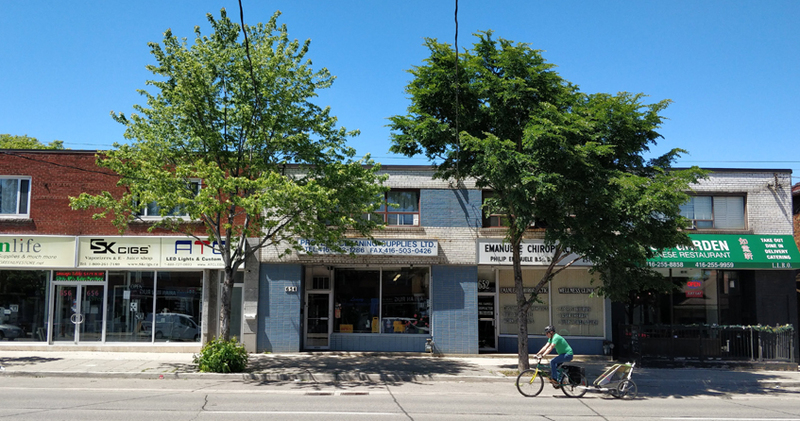 The trees, monitored in the City of Toronto, were American Liberty elms (Ulmus americana ‘libertas’) and Freeman hybrid maples (Acer x fremanii). All of the trees in the supported soil cells are larger and healthier than nearby specimens in standard urban tree pit plantings despite regular salt application on the adjacent road. In the nearby city of Mississauga, a similar installation constructed in 2014, and containing Chantcleer Pear (Pyrus calleryana) and Fragrant Sumac (Rhus aromatica), also helps to manage stormwater while supporting excellent plant health. A key feature appears to be the freely draining engineered soil, which allows salty water to be flushed out of the root system as the snow melts in springtime. The Queensway Sustainable Sidewalk Pilot Project was initiated as a solution to address the disturbance of street tree roots associated with the removal of sidewalks for utility cuts. To learn more about the project – Click Here.